Dr Brona Fullen is a lecturer in the UCD School of Public Health, Physiotherapy and Sports Science, Dublin, Ireland. She holds a BSc Physiotherapy (UUJ), MSc Healthcare (Acupuncture, UCD), and PhD (UCD) degrees. Clinically Brona specialized in the topic of pain working in Pain services at Massachusetts General Hospital, Boston, St Vincent’s University Hospital and Tallaght Hospital Dublin.In UCD she teaches in the area of pain science to both undergraduate and postgraduate students. She is Director of the MSc programmes in Advanced Physiotherapy Studies and Healthcare (Acupuncture). Her research areas of interest include the assessment and rehabilitation of people with chronic pain in a range of conditions including musculoskeletal dysfunction, obesity, and spinal cord injury. She has supervised MSc and PhD students to completion, and has presented her research at national and international meetings. Brona is a past President of the Irish Pain Society (Chapter of the International Association for the Study of Pain), and the first Chartered Physiotherapist to be elected to the European Pain Federation EFIC® Executive Board. 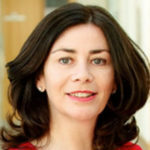 She is also the co-director of the UCD Centre for Translational Pain Research.